Flick Gocke Schaumburg is an independent interdisciplinary law firm that has established itself as one of Germany's leading tax law practices, combining the experience of lawyers, tax advisers and certified public auditors to develop tailor-made and tax-efficient legal structures and solutions. With offices in Bonn, Berlin, Düsseldorf, Frankfurt, Hamburg and Munich the firm counts 120 partners and associated partners plus more than 270 professional staff with multiple qualifications in the fields of law and economics. In addition to its representative office in Zurich the firm holds strong working relationships with premier consultants in many other countries. 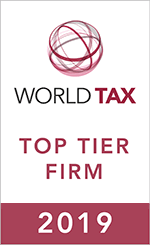 Flick Gocke Schaumburg is the exclusive German member of Taxand, an international network of leading independent tax advisory firms. Flick Gocke Schaumburg's client base includes national and international groups, affiliated corporations, family-owned businesses and high-net-worth individuals.